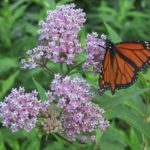 HomeBlogEveryday EcologyThe Magnificent Monarch Migration! Through wind and rain, around predators and human obstacles, monarch butterflies fly up to 3000 miles in late summer to their wintering grounds in Mexico and California! Most butterfly species that live in temperate climates have adapted to freezing winters. Many overwinter as caterpillars or pupa. Some overwinter in the egg stage or as dormant adults in shelters like holes in trees. 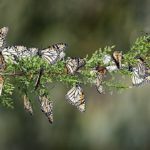 Monarchs can’t survive the cold, and they make an incredible 1000 to 3000-mile migration to overwinter in a particular forest in Mexico or in coastal California. takes place over 3 to 4 generations. The summer generations live 2 to 5 weeks. Their role is to reproduce and move the population north. The last generation of the year (gen 3 or 4) is born in late summer and makes the incredible flight to the wintering grounds, and then starts the return journey the next spring. These butterflies live up to 9 months. 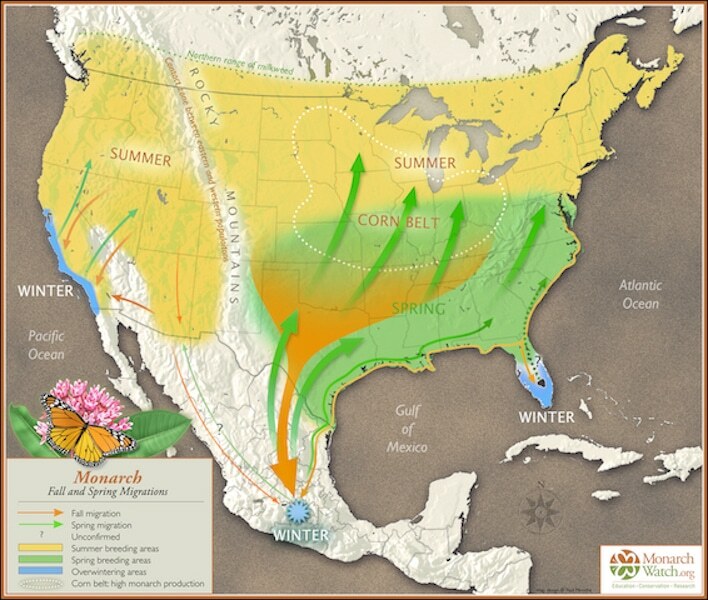 The butterflies leave their winter homes in March, mate and lay their tiny eggs under milkweed leaves as they move up to northern Mexico and the southern US. Caterpillars emerge from eggs after 3 to 8 days and begin eating milkweed. The caterpillars go through 4 molts, shedding their skin as they grow. 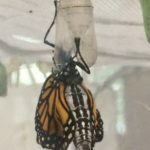 After 9 to 17 days, they form a chrysalis and transform into butterflies that continue the journey north, laying eggs on milkweed along the way. This continues for two more generations. 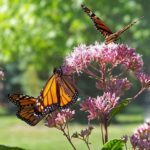 If generation-3 butterflies emerge early enough, they may raise a fourth generation, but butterflies that emerge in late summer won’t reproduce until the following spring. These late-summer butterflies are the migratory adults that make the incredible flight south between September and early November. If a female monarch can’t find milkweed plants, she can’t lay her eggs. 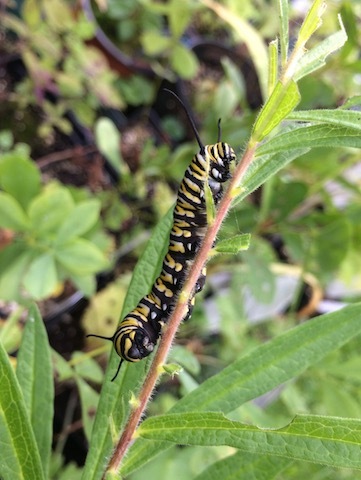 Monarch caterpillars eat nothing but milkweed, and this plant infuses them with compounds that are toxic to predators and help them survive. You get the additional benefits of beautifying your lawn with these lovely plants and attracting other pollinators. 2. Avoid using herbicides and pesticides on your lawn! 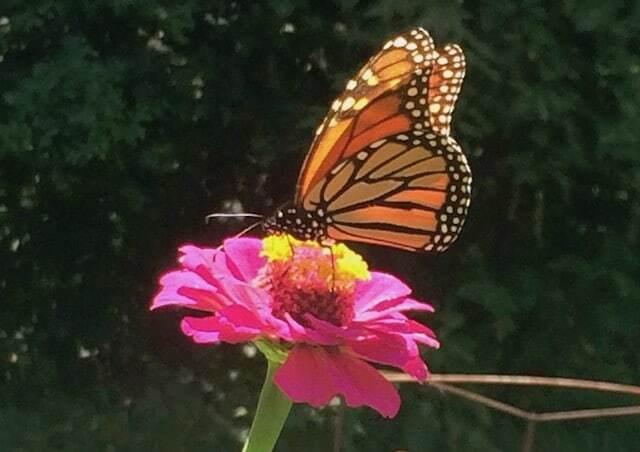 In addition to harming monarchs, they destroy other insects that provide needed food for birds and that pollinate the foods we humans eat every day. 3. Plant a pollinator garden! If you don’t have a yard but you have a porch or patio, potted plants work for pollinators too! 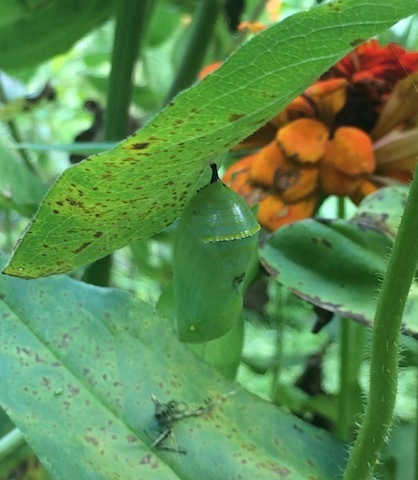 Pollinator gardens are not only beautiful, they provide critical food sources for adult monarchs and other butterflies and insects. Suburban areas have destroyed massive amounts of habitat, but we can help revitalize these areas and make them more friendly to species that have been pushed out. Planting for pollinators and minimizing use of chemicals are important ways to restore a little bit of wild to human-dominated landscapes. The amazing monarchs you might be lucky to see this fall are on a journey thousands of miles south that this species must make every year to survive. Let’s do what we can to help them! Help spread the word about monarchs – share this post with your friends! 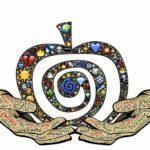 Learn more about important topics on everyday ecology here! Thank you all for your kind comments and for the important ways you support Monarchs too! Lovely article. Thank you for your work in supporting the Monarchs! Nice and informative article, Anne. We haven’t seen any chrysalis’s and I can’t find those two that we kept checking when you were here (looks like one is beautifully immortalized in your photo 🙂 I have also not seen any caterpillars lately but your Mom said she saw several the other day. I will send you a pho of a chrysalis attached to pne of our tomatoes from the garden. 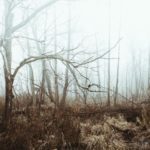 Nice article at just the right time of year. Thanks for bringing the subject to our attention.